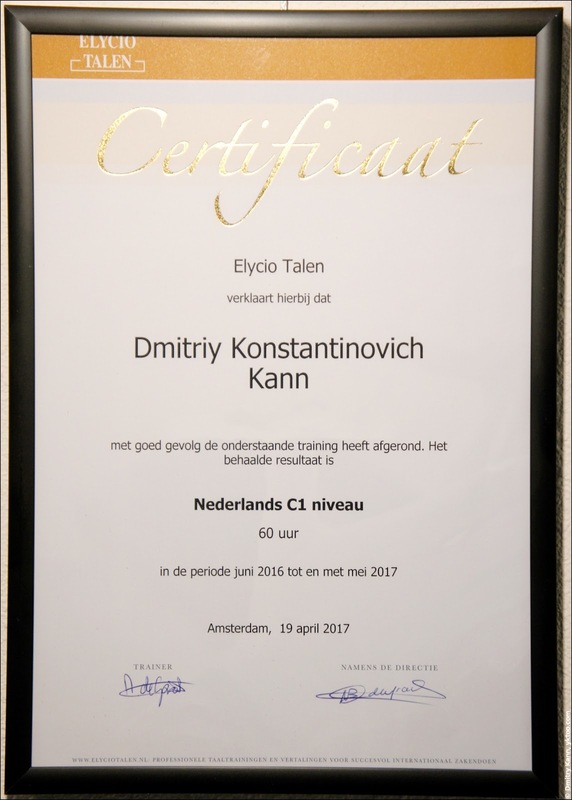 C1 level Dutch language certificate. 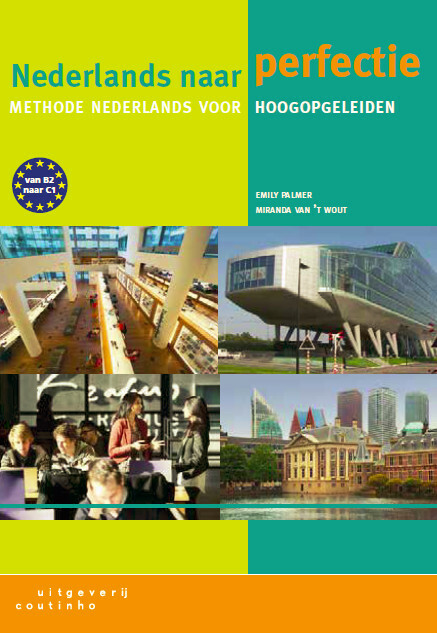 C1 ("Effective operational proficiency or advanced") is above all the standard target levels for foreigners in Holland (A1, A2, B1, and B2). According to the CEFR, it denotes the ability to work with complex, specialised texts on unfamiliar subjects, and some 10% of the total population possess it. The only higher level in CEFR is C2 ("Mastery or proficiency"). I'm personally not convinced my Dutch is that great as I still face enough difficulties with it, but I do trust the teacher. What is certain is that my command of the language has significantly improved during that course. And important part of that progress was due to individual lessons. I've had a few group classes before and there's a world of difference. Being face to face with the teacher, you get all the attention and are not constrained to talk or to read as much as you need. On a side note, such a course is anything but cheap: ING has paid ca. €80/hour for it. Which is in principle a standard rate for private lessons here. But most importantly, I'd like to express my gratitude to my awesome teacher Nanouk Sabel for her patience and diligence, as well as the ability to keep me motivated and keen throughout the entire course! She is teaching Dutch and Swedish (because she's half Dutch, half Swedish) at Elycio Talen, and I highly recommend her to anyone interested. Although she's fully booked at the moment, you may get lucky some time later.